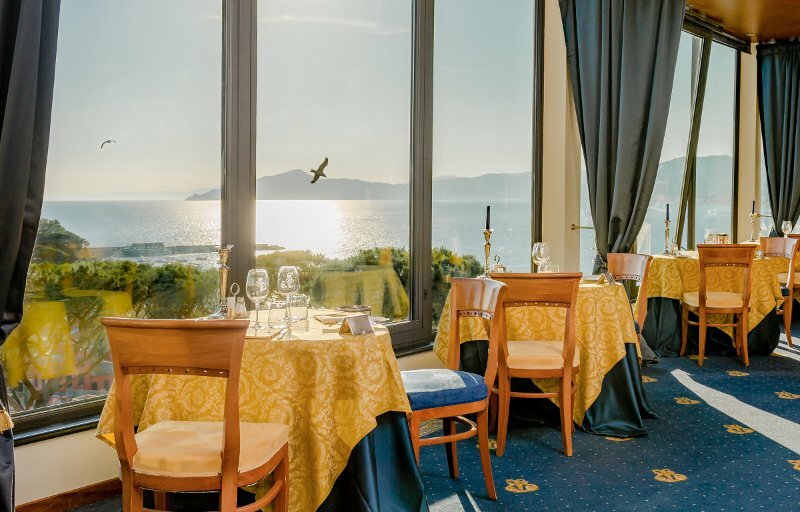 Olimpo is our main hotel restaurant offering guests exclusive and tasteful fine dining cuisine of culinary and gastronomic excellence, as a distinctive sign of Italian identity and culture. 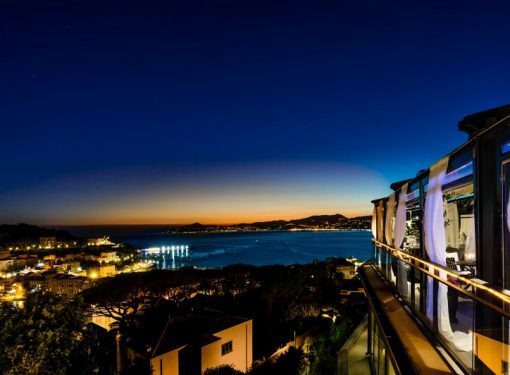 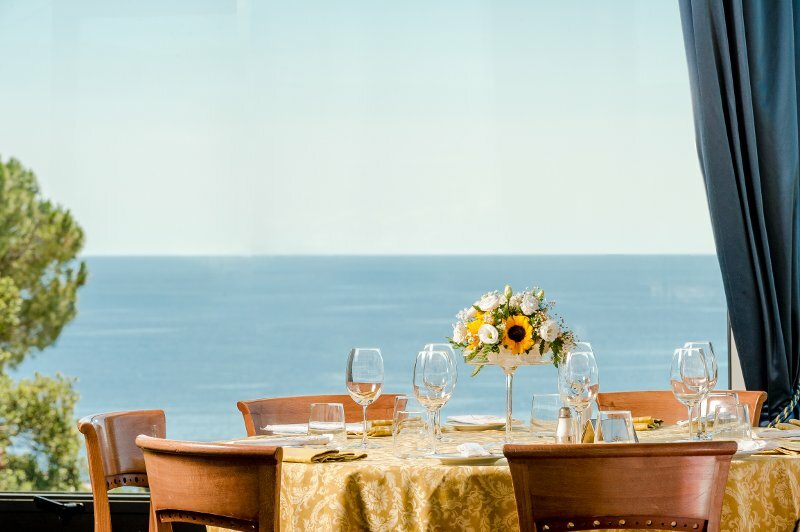 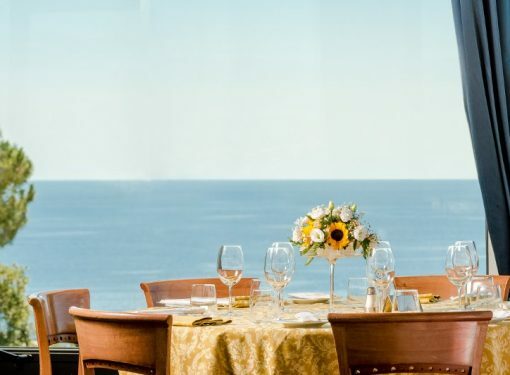 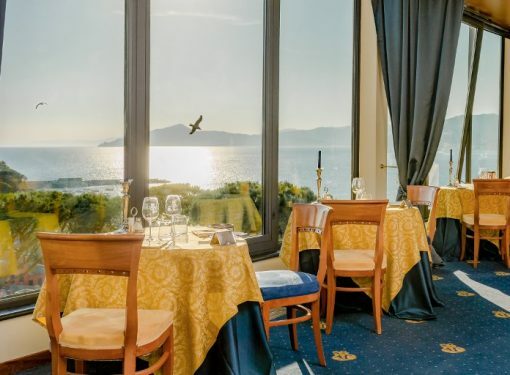 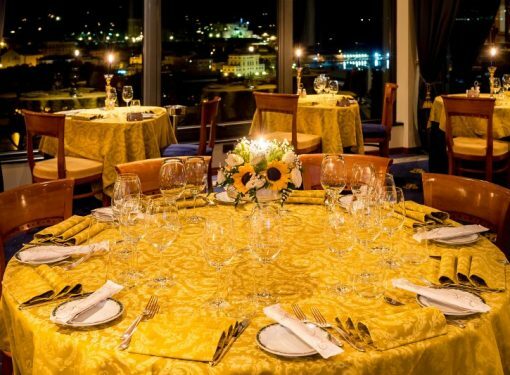 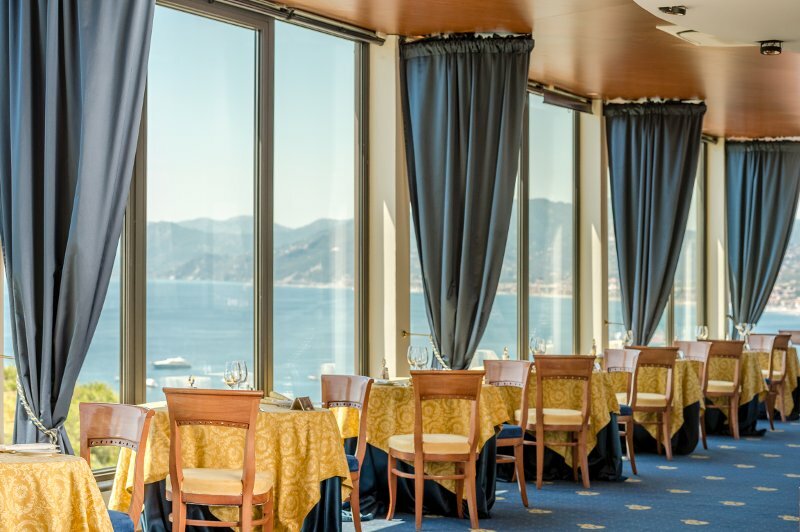 On entering the restaurant guests will be amazed by the breathtaking views in the exceptional elegant setting with full panoramic windows all around the restaurant. 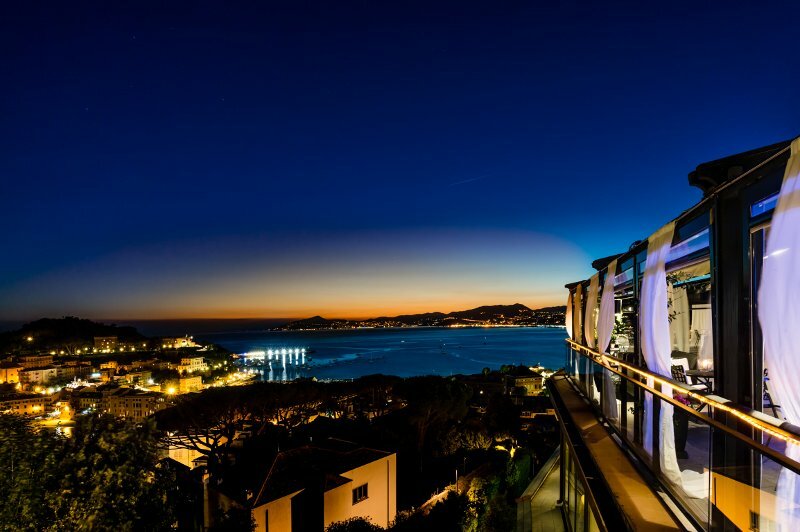 The design of the ceiling gives the effect of a star-studded sky, and the whole ambience is truly one of “floating in the sky”. 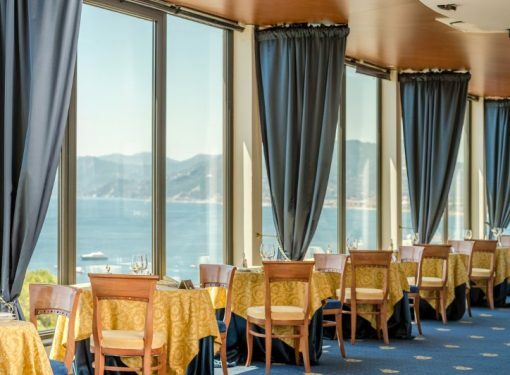 You will be transported back to the elegant restaurants of the great transatlantic liners of a century ago. 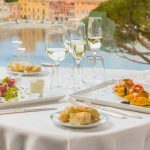 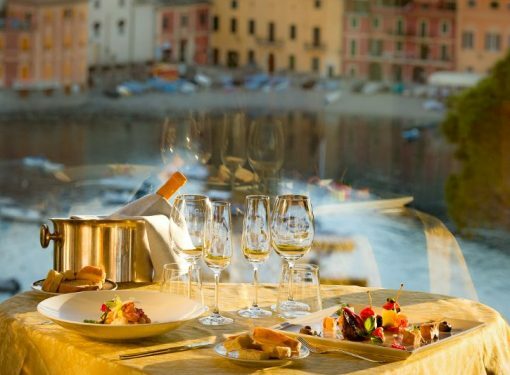 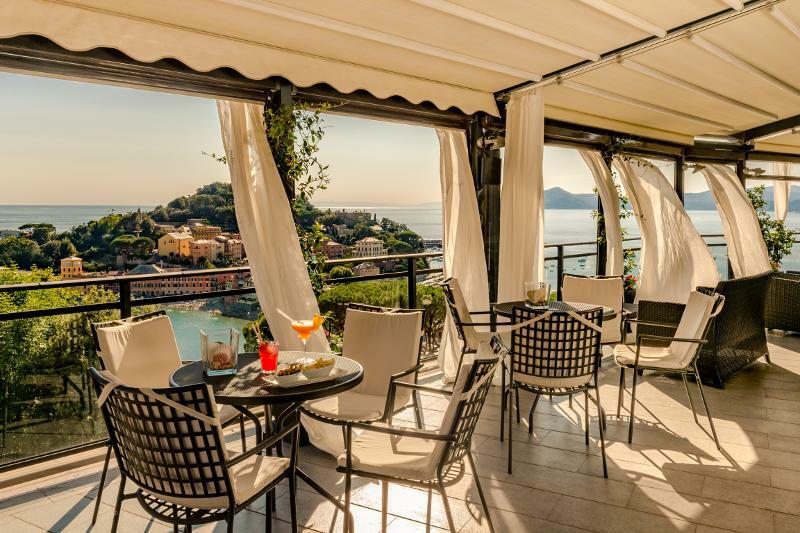 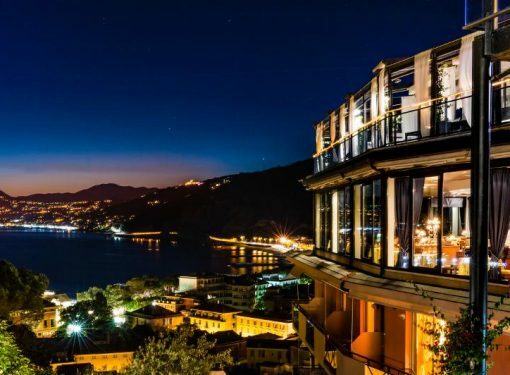 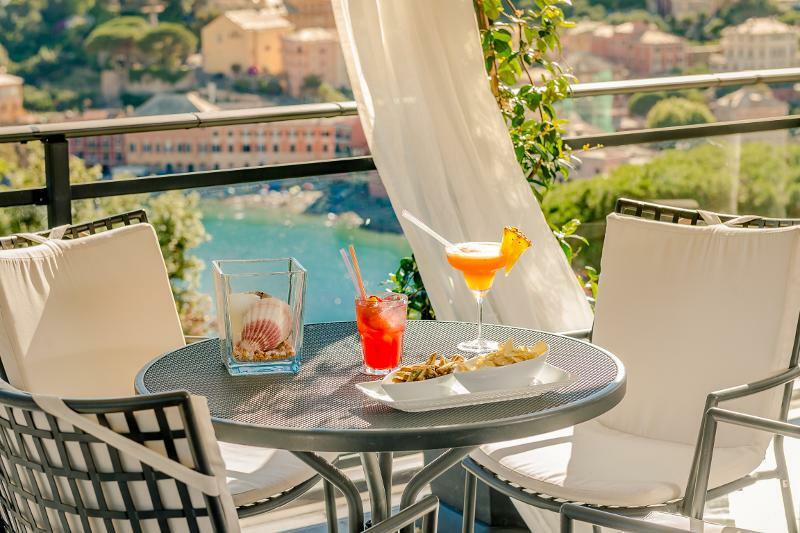 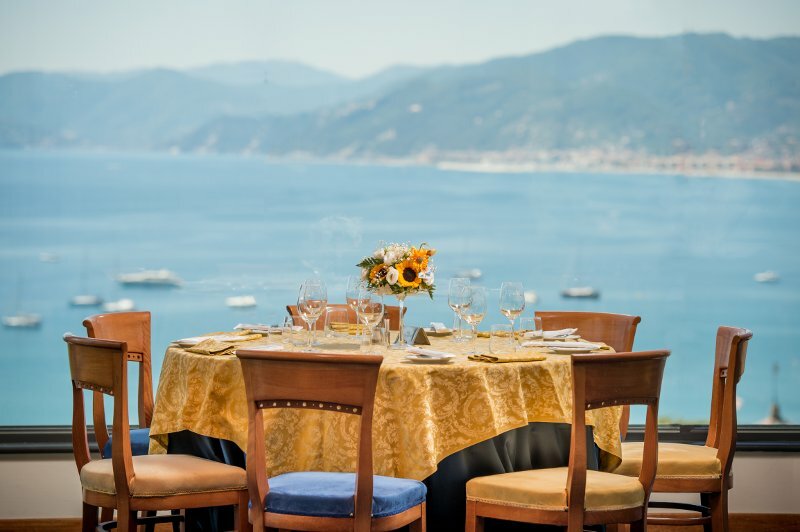 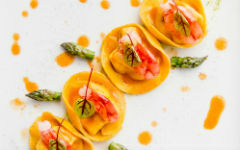 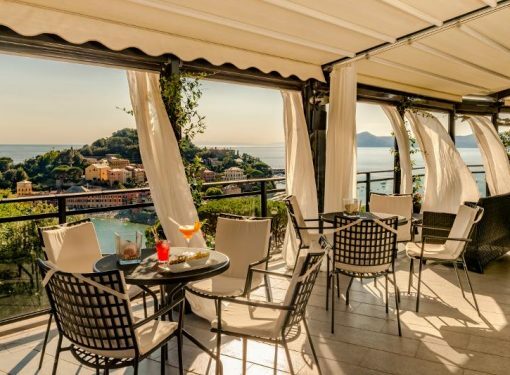 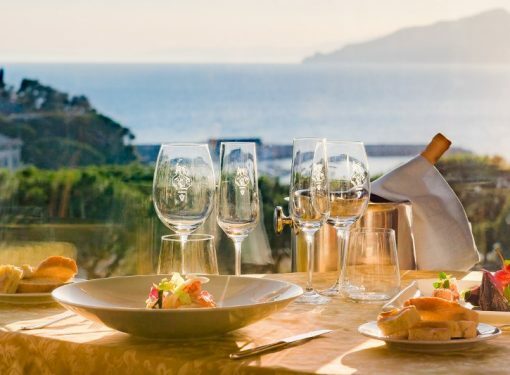 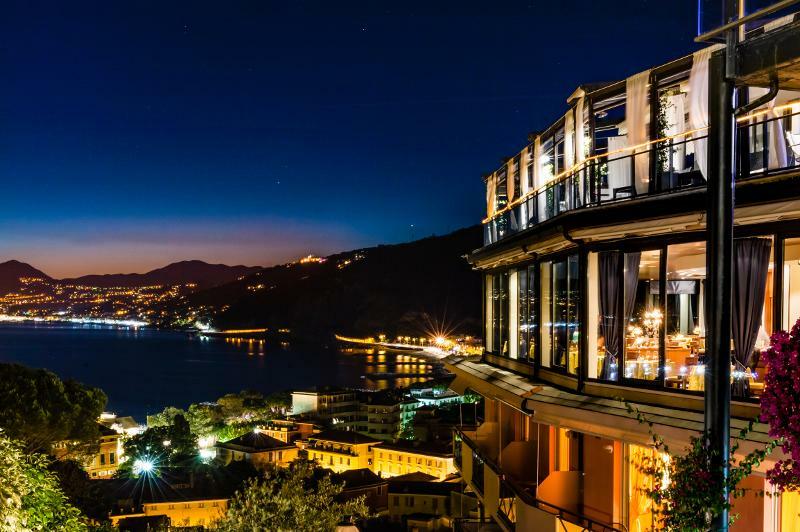 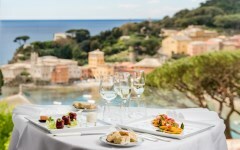 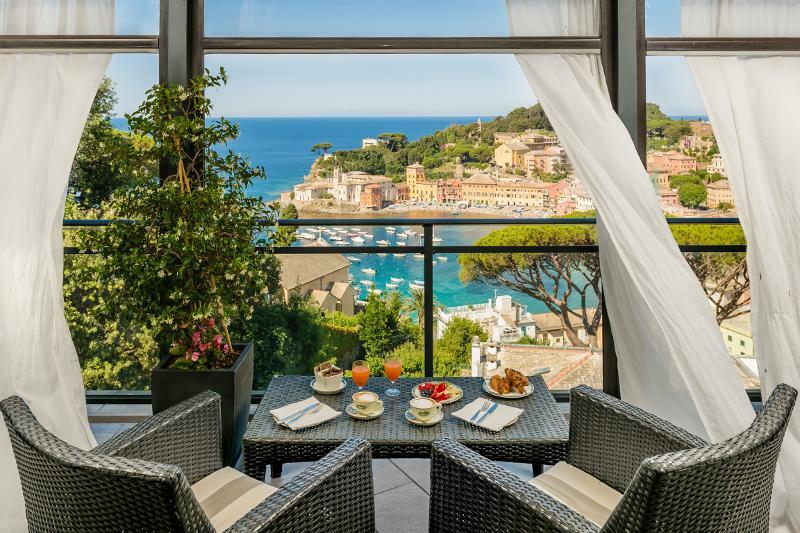 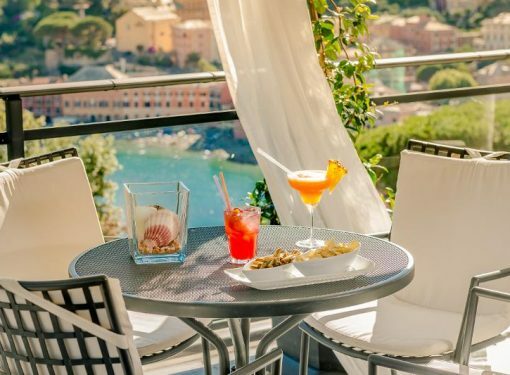 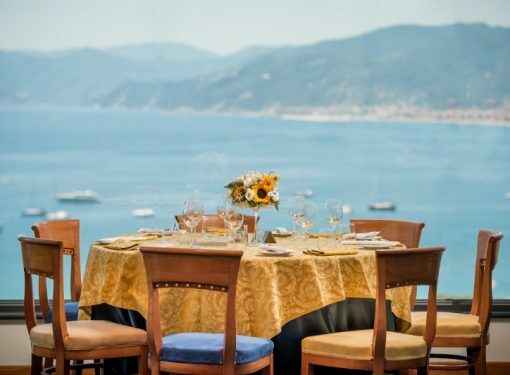 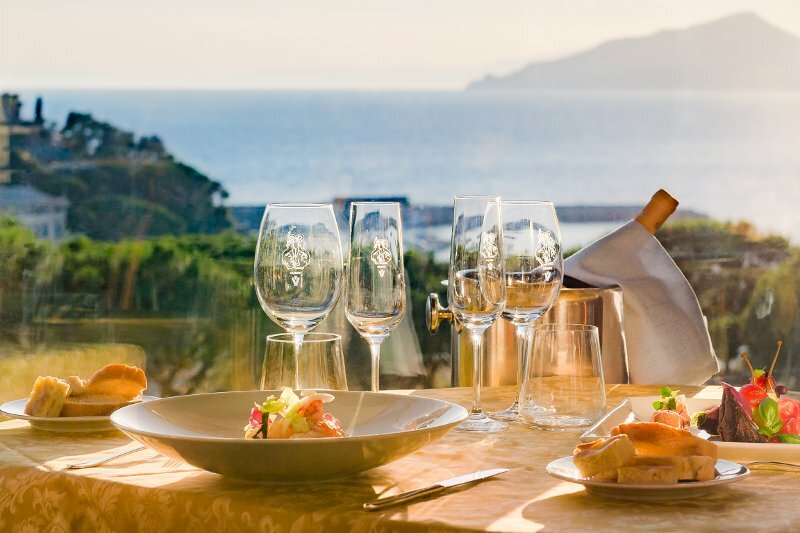 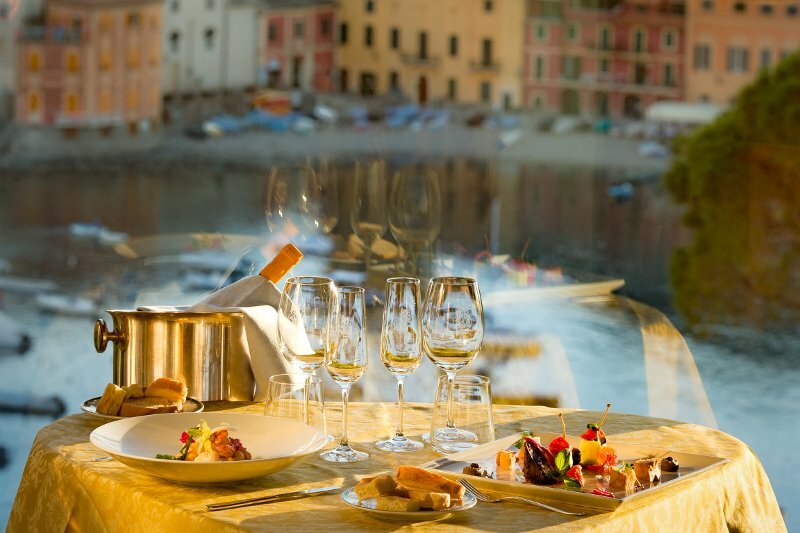 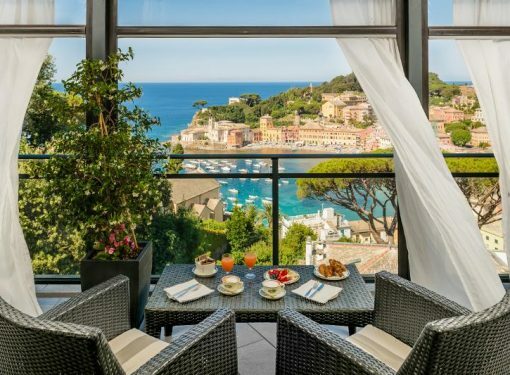 Guests will savour a selection of appetizing dishes with delicious flavours and tastes of Italian origin and tradition, sublime in their simplicity, and relying on the exceptional freshness of local Ligurian high quality ingredients, all prepared under the guidance and expertise of our Head Chef. 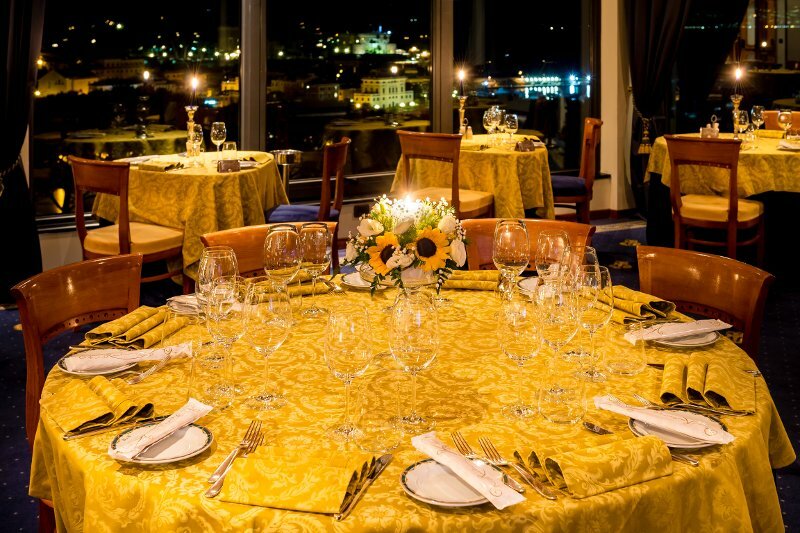 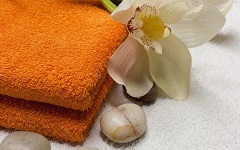 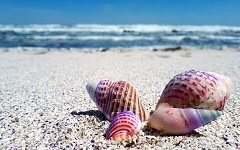 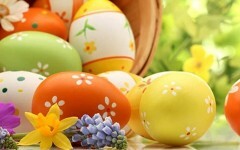 The restaurant’s courteous and knowledgeable staff provide a first class service.